I don’t really post much about the wives on here unless they’re part of a Backstreet Boy’s project. Like if this blog had existed during I Heart Nick Carter, for example, I would’ve talked about Lauren as much as I did Nick. But, generally speaking I focus solely on the Boys. Yet, social media has me going to my blog at a crazy hour cause I’m a vampire at heart because I want to talk about the wives for a moment. What brought this on? A story on Instagram from AJ’s wife, Rochelle – which was followed by an Insta-post by AJ himself. The fact he had to MAKE this post is not okay. So I’m going to rant a little but in a kind sort of way. Buckle in. While some of you reading this have been recent fans, most of us have been here for the long haul. Our childhoods were the Boys and we grew up right along with them. We probably used to daydream about them or doodled our names with their last names, whatever. All which was totally okay and normal. We were (the majority) teenagers! But then, the Boys began to grow up. They started dating publicly instead of hiding it from the fans. Eventually, said five Boys became men and got married, became fathers with women who made them happy. Thankfully, those spreading hate over love are a small section of the fandom. I know most aren’t like that. I’m speaking to that vocal part who don’t know when to not say anything. Those who think it’s their job to criticize to the point of cruelty. Here’s the thing – no one is asking you to be “fans” of their wives. You don’t have to be that. But what you DO need to do? You need to RESPECT their wives. I don’t care if you like them. You don’t have to. Not everyone will like everyone. But you should be respectful to the five women who make the men (that brought us YEARS AND YEARS of joy) happy. You shouldn’t be running pages about conspiracies in their relationship – looking at you Lauren haters. You need to not be picking at Rochelle’s weight over some paparazzi pics. What she weights is totally not your business. You know what is? The music. The events. The Boys’ private lives aren’t yours to trash. You need to not shame Leighanne for how she looks in the pictures she posts on Instagram. None of this behavior should be acceptable. Come guys, most of us are adults! Adults don’t act like this. Like it or not, these women are who Nick, Brian, Howie, Kevin, and AJ love. What do you think it does to the men you idolize for them to see the hate you spew at their wives? Think about that next time before you post on social media. The Boys do SO much for their fans. It’s not a lot to ask for you to not spew vile comments their way. Respect is something that should be a given in the fandom. If your happiness hinges on whether or not a Backstreet Boy is with someone you approve of, then I suggest you step back from the fandom. Breaks can be good. 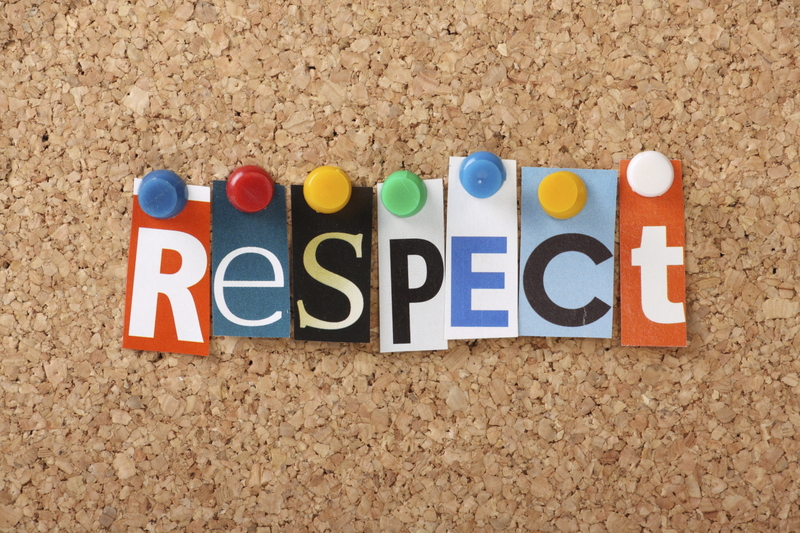 Remember guys…a little respect goes a long way. Leighanne, Lauren, Rochelle, Leigh and Kristin? If any of you see this, thank you for making my favorite singers so happy. Thank you for giving them beautiful children and supporting them through thick and thin. We may never have met, but I have a huge amount of respect for what you go through for your husbands. If that doesn’t prove how much you love them, I don’t think anything will. I hope you know most of the fans love that you’re there for them and that the hate comes from a small but very vocal section of people. I apologize for them, because you don’t deserve that. You forgot Brian…but I agree with you. Rochelle and A.J. All 5 families should react in this way. I hope the haters are not fans. Sometimes I read comments and think….OMG..what? Who has such fans no longer needs enemies.